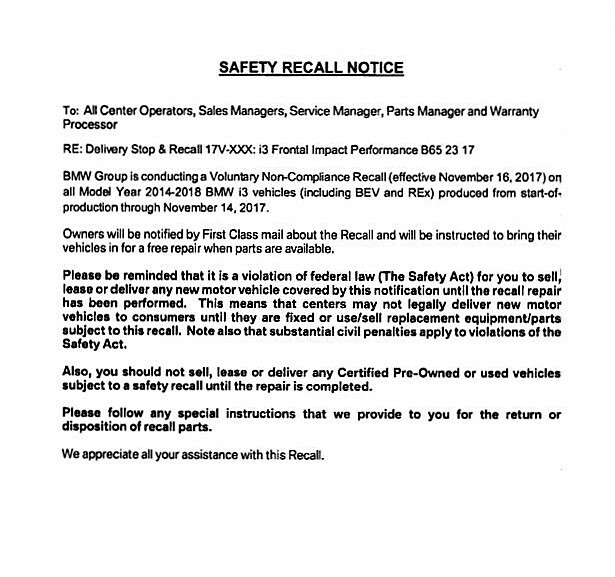 BMW has issued a sales stop and recall for all i3s in the U.S. The reason is a safety standard defined by the National Highway and Traffic Safety Administration NHTSA that was not met. InsidEVs reported first that the reasons for the recall and sales stop is based on the five percentile of female drivers weighing less than 110 pounds and who are smaller than five feet. At certain collisions unbuckled female drivers have a higher risk of certain types of neck injuries. 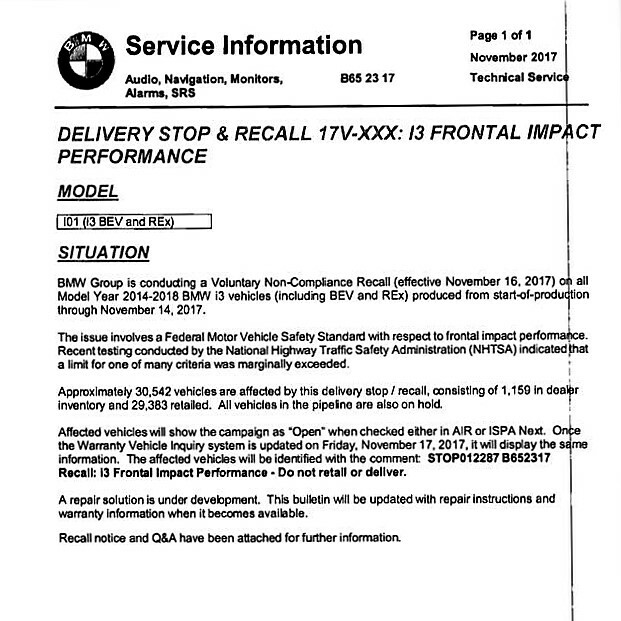 The i3 was slightly above the safety standards. BMW sent over the weekend a list with questions and answers to U.S. dealers. Except New Hampshire every state in the U.S. mandates safety belts. 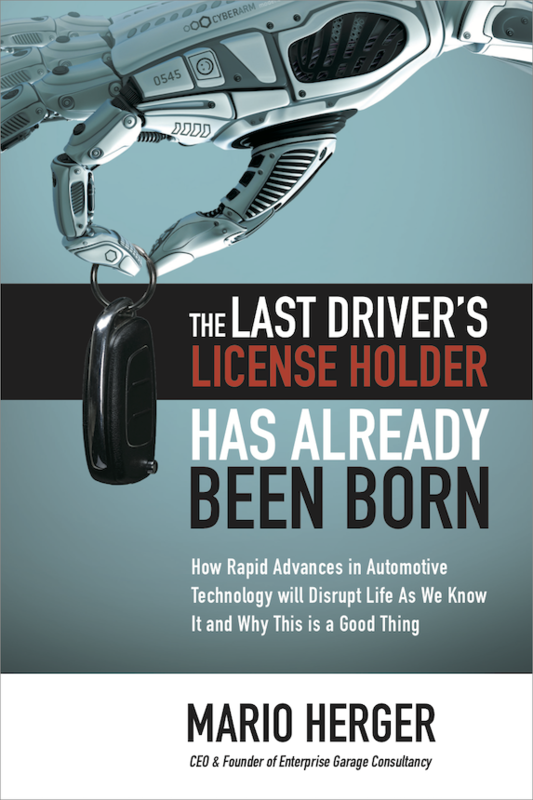 Previous Elon Musk: Man, Machine, Human?